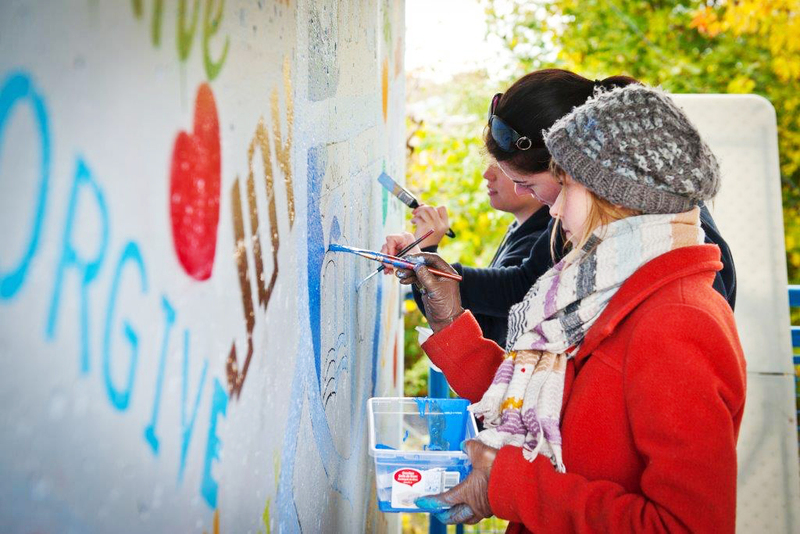 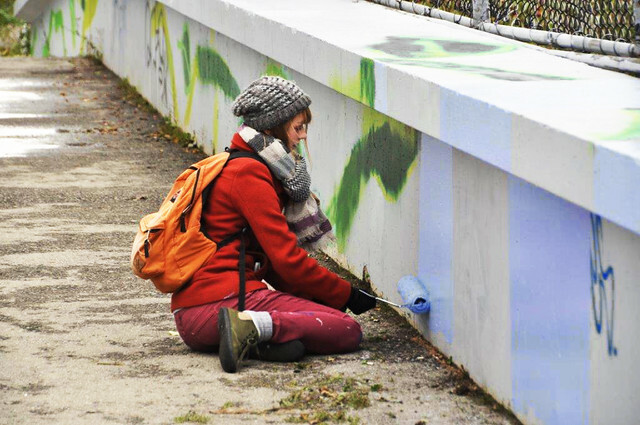 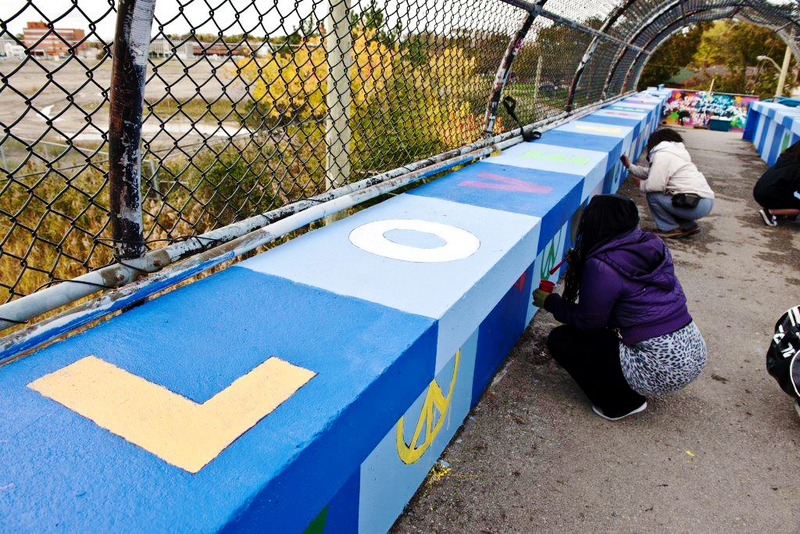 So a couple of weeks ago I was part of a really fun community project in Brampton! 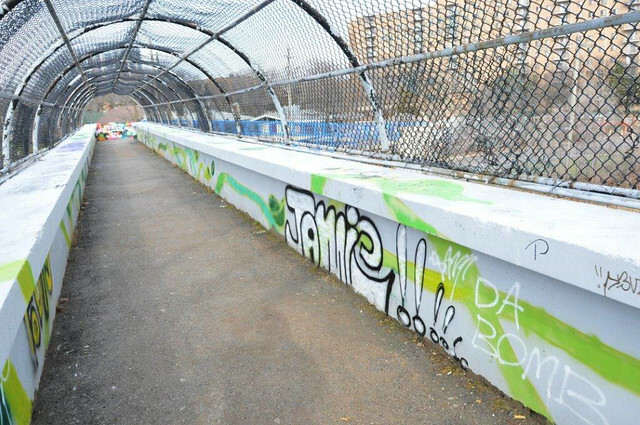 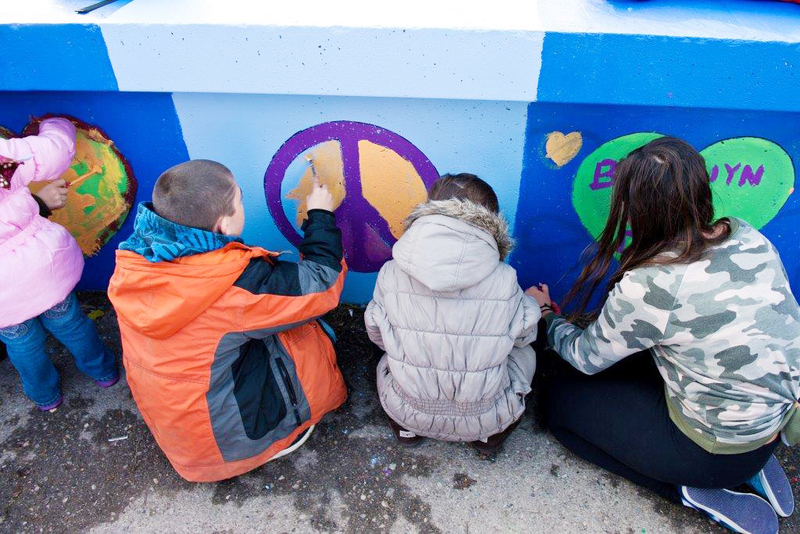 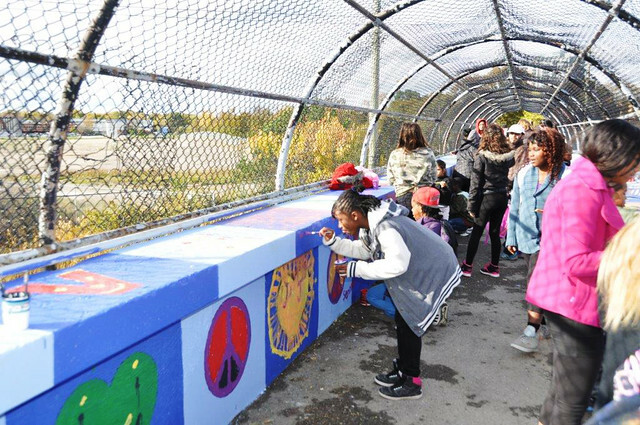 The task was to repaint a long bridge near Sir Winston Churchill elementary school and have everybody included in the painting process! 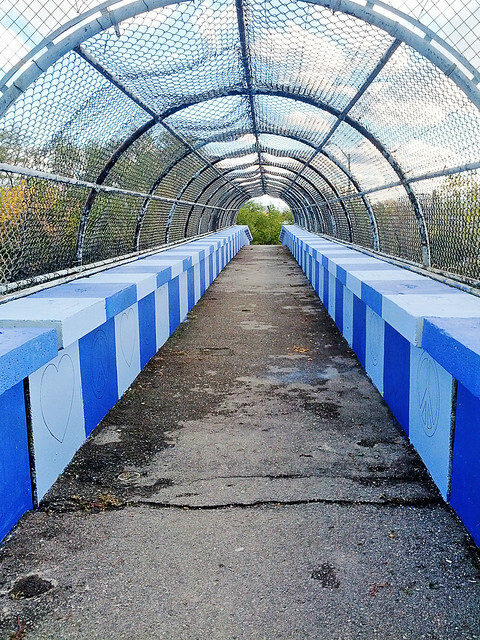 I was the art director so I thought of the idea of painting the school colours striped all along the bridge. 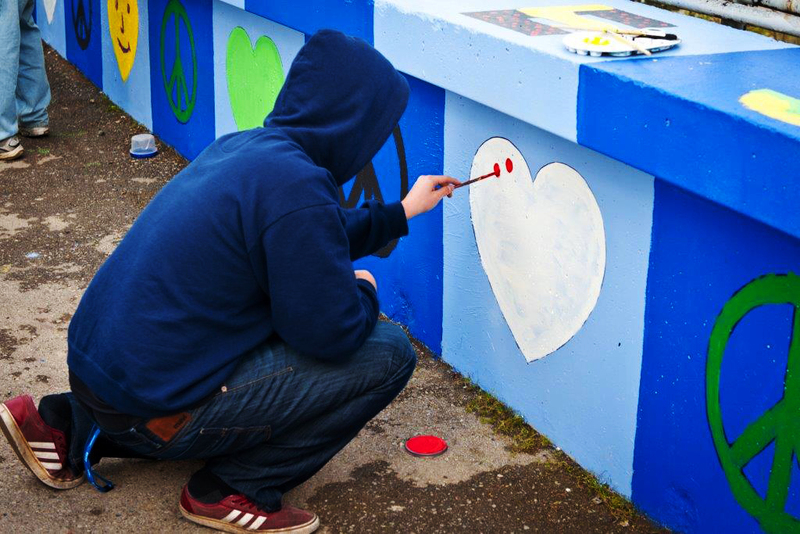 I then added stencilled patterns on the stripes - hearts & peace signs, as well as the words love & respect. 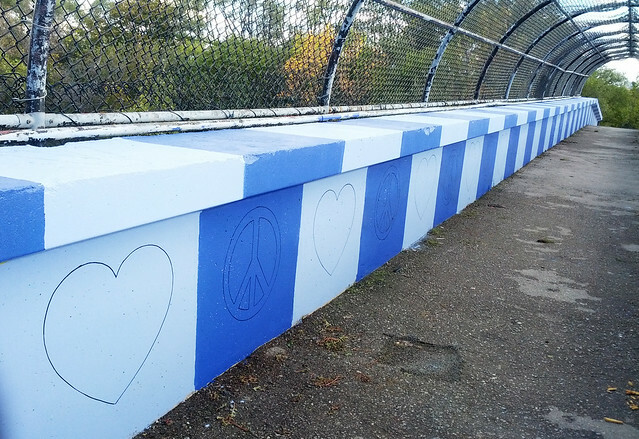 We also repainted one of the concrete walls along the bridge ramps. 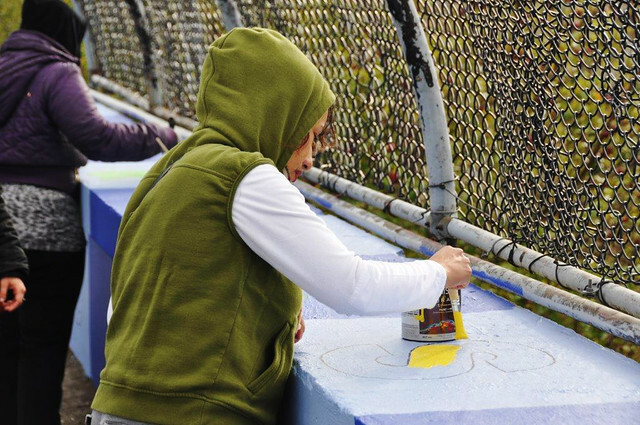 It was a lot of work prepping and painting those stripes! 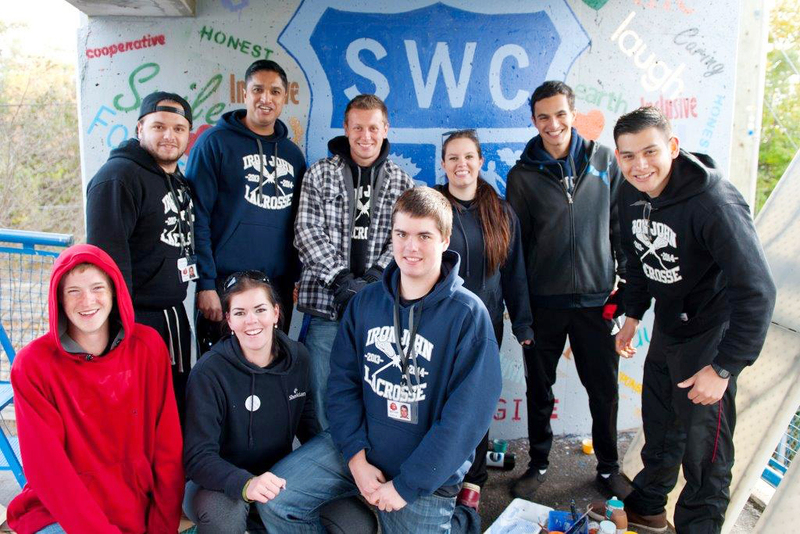 Thanks for Garry, Don, and all the volunteers that helped out with the process! 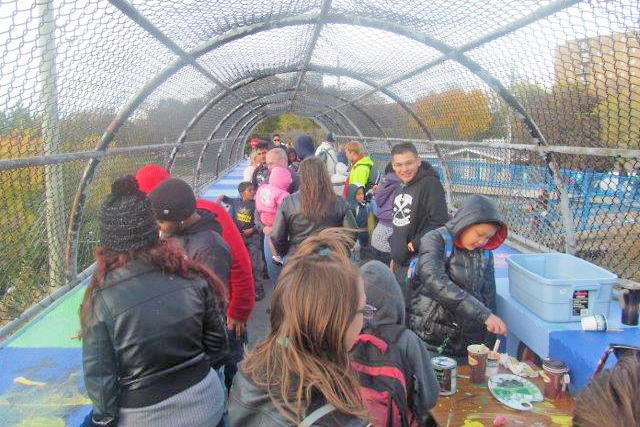 The event was really awesome and big, and a lot of the people enjoyed it despite the chilly weather. 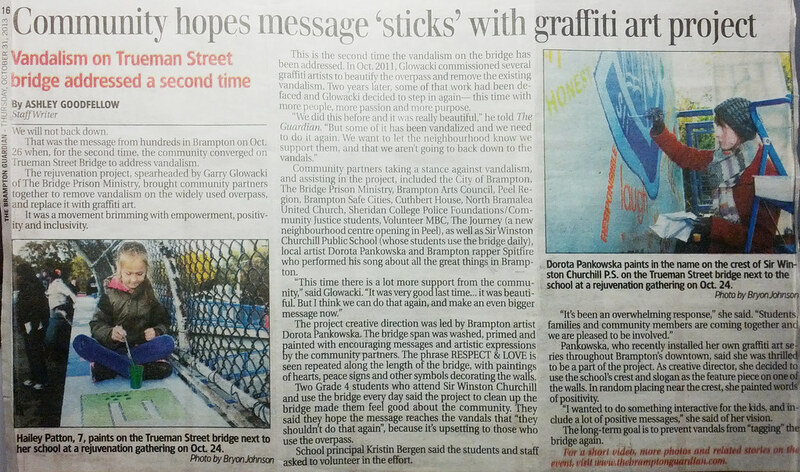 :) That's also a photo of me in the paper.